Helen Boudreaux was born on March 14th 1939 in Catahoula, in St Martin Parish. She was the fifth child of a family of eight brothers and six sisters. She worked the fields on their sharecropper farm using a shovel, hoe, mule and plow to help her family survive. She planted and harvested sugar cane by hand, planted and picked cotton and pepper, and broke corn. When 15 she quit school to help her mom but later earned her GED at age 40. She married and left home at 16 and had a family of 4 sons and 4 daughters. She has 26 grand children and 12 great-grandchildren. Boudreaux was an over-the-road-line-haul truck driver (18 wheelers) for 10 years traveling in 46 states and Canada. In 1988, she was a pioneer female contestant in a truck rodeo in St Louis, Missouri and placed 7th in the tank division. After retiring from the road in 1990, her kids encouraged her to return to music. In 1996, she organized a children's Cajun music jam session in Breaux Bridge and inducted about 75 kids into my program, Young Aces of Cajun Music "Wall of Fame." In 1992, she won a CFMA award for best song of that year. She co-wrote "Chanson Pour Pa-Pa," a song for Mathew Courville, that won in the top 3 songs for CFMA. For 2 Years She organized a monthly Cajun Musician Ceremony, that lasted two years, selecting 12 musicians per month and giving them recognition for having given of their time to play Cajun music at nursing homes. She also organized an annual ceremony titled “Cajun Lady Musicians” to honor women. 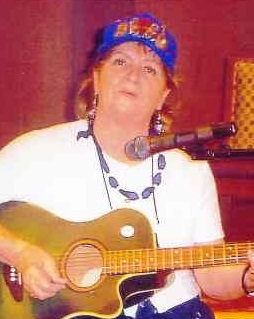 She was a Cajun music dee jay at Radio Acadie KRVS from 1994 to 1997. In 1998, she released a book titled Cajun Survivor. She composes her own songs including Pour Tout Ma Famille, Deuxieme Chance,Truck Driving Mama, Mama Wants To Be Home, and a capella CD, Chansons d'Avant Les Bals. She composed a song titled Mes Racine Cajun Sont Creux which won four honors for her: female vocalist, best song, songwriter and pioneer. She has been nominated five other times for CFMA's female vocalist and has won three. She wrote a column for Intune Magazine and, at present, a writes column for The Teche News. She was featured on Larry Woods’ CNN show. She has toured the southern United States and France. She was featured in a chapter in Rheta Grimsley Johnson's book, “Poor Mans Provence." 2003; CFMA Heritage Award in 1997; Special Award Plaque from parents for promoting children musicians in 1997; FDJMC Heritage in 2002; City of Kaplan Plaque and Key, 2004 in Kaplan KC's Cajun Radio DJ in 2004 and G&J Plaque of Appreciation in 2004.